We invited the brilliant Elisa Bellotti from The Mitchell Centre in Manchester to talk to us about social network analysis. Their work is all about showing social relationships in various types of representation conducive to mathematical analysis. 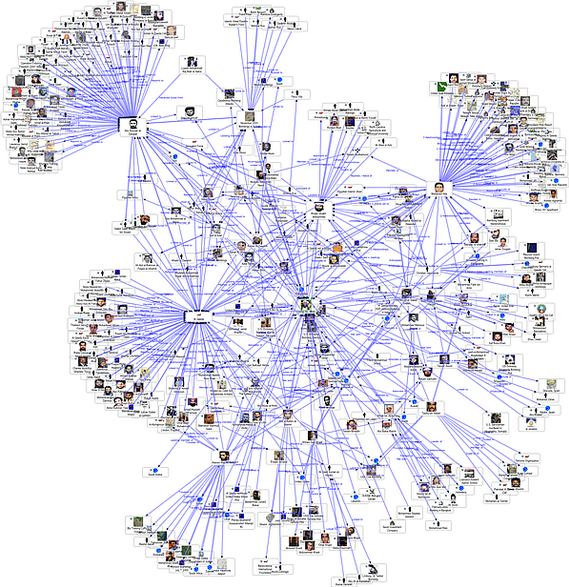 Computational sociology involves analysing large scale networks in various domains such as social networks and health, or social networks and consumption. My own work in this area focuses on how people choose to represent their own social relationships in various constrained categories. Elisa explained how these are called ego-networks since they are centred around an individual. It turns out in social network analysis, and computational sociology in general that representation isn’t really a concern. The shape of networks, and their topological diversity and consistencies are important only for the kind of mathematical analysis they afford. In other words there is no real value seen in network representation as a document in itself and what it might reveal about the person who made it. I guess this reflects the difference between working in a school of art and design, where we think constantly and rigorously about the politics of representation, and working in the sociology department of a large university. Nevertheless, I did find the lack of analytical attention to representational structure surprising. A semiotics of social network graphs could include, for example, a notion of physical distance mapped to cognitive distance from the centre, or how entities are arranged respective to each other – radial, sequential, scattered etc. I would see this as a human centred approach to network analysis. Since, as a positivist scientific discipline, social network analysis must attempt to conceptualise broadly applicable categories from specific observations, and render those observations susceptible to mathematical resolution, it has less time for design, meaning, human centredness, or participative methods since they are not really required. Most significantly for me, how the making of a personal network representation works to externalise an internal model of relationships and the accompanying potential for individual meaning making, is not something a social network analyst would pay attention to. The role of design in that process is limited to how a basic set of diagrammatic categories such as triads and dyads contributes to a reading of the network structure. The aim of computational sociology in the context of, say, networks and healthcare is to reveal things like where in the network resources should be concentrated. The network is a medium for deeper analytical attention to how social networks work in a variety of domains rather than an opportunity for the creation of personal meaning on its own. My work is phenomenological in the sense it tries to get at how people experience digital social networks for themselves. Social network analysis has a very different set of priorities. A big issue for me is the resolution of the network representation. I have found that network models on their own are relatively information poor. Without accompanying interviews and other supporting analytical data, the physical models do not show how the process of making them has contributed to knowledge construction or meaning making. Listening to Elisa talk about the large scale multi-dimensional networks she works on makes me speculate that low resolution graphs (those with relatively few nodes and edges) may be information poor in general. More likely however, is that the information I’m after is not apparent in the model alone. My research question here is How can design activity work to externalise mental models of digital social networks? In other words, it’s the process of creating a physical model along with the resulting representation that delivers insight, rather than than the model alone. This is a process-oriented system as opposed to a goal or product-oriented system. As an aside I have found that representations conform to the so-called Dunbar number. This is an idea from computational anthropologist Robin Dunbar that the human brain has evolved to manage no more that 12-15 close personal relationships. This can be measured by counting nodes. Representativeness is another issue. It could be that the inner mental models of personal social networks don’t take the form of conventional network arrangements at all, and the material constraints of my design force people to conform to a network shape. Perhaps the dominant spatial metaphor shown in network diagrams influences the way we conceive of our own relationships and left to our own devices we might more naturally show relationships as an ordered list, or composition of hazily defined clusters. In any case, my research question isn’t what representations most accurately show how people conceive of their own networks but what the role for design and making is in externalising those mental images. To that end, future work would explore the affect of different types of material representation on externalisation. I have found that participants take to the task very readily without much guidance or instruction, and that the process of doing so is rewarding in a personal creative sense. One of my colleagues Dan Lockton brought up the suggestion of causal network representations. This suggests augmenting existing network models with layers of causal indication. i.e. I have observed this phenomenon and it is in relation with these other things, and I think these factors have caused this phenomenon. Some form of annotation would achieve the same result but could get unmanageably complex from a coding perspective. Again perhaps one for future work. Overall, the place for a design-oriented perspective on social network representations seems to be fruitful territory, one with plenty of scope for invention, human-centred surprises, and practical design exploration.